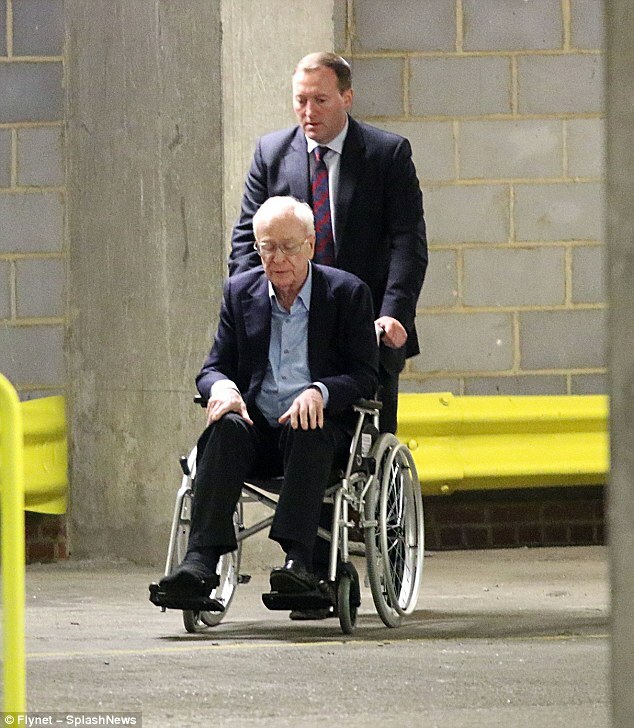 Sir Michael Caine was forced to celebrate his 85th birthday in a wheelchair after he broke his ankle falling over in his snow-covered garden. 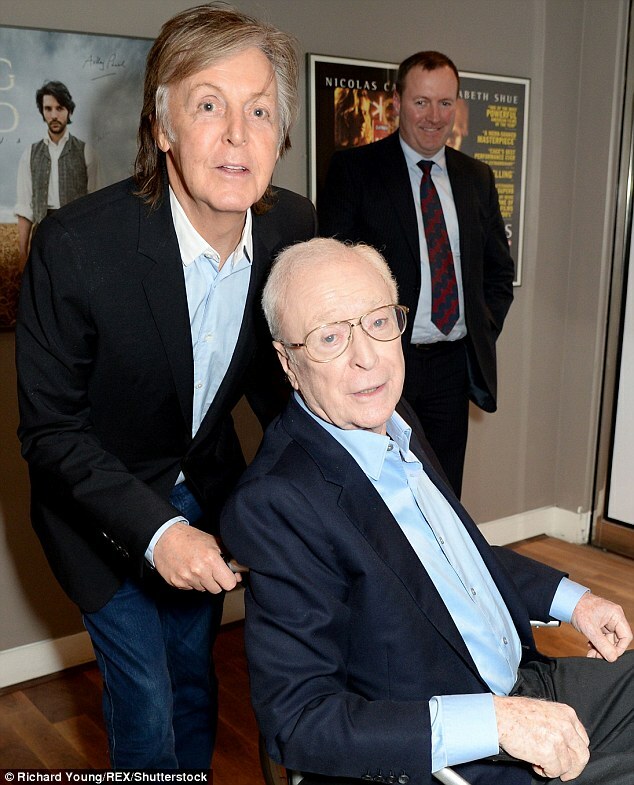 Luckily Sir Paul McCartney was on-hand to push the acting legend around following the release of his new film My Generation - a documentary homage to 1960s pop culture. The Get Carter star appeared in high spirits despite sustaining the injury as Storm Emma met the Beast from the East and battered Britain. Sir Michael's starring role in 1969 film The Italian Job made him a cult figure among fans of the swinging sixties as his British crook anti-hero championed mod fashion in the form of sharp suits. 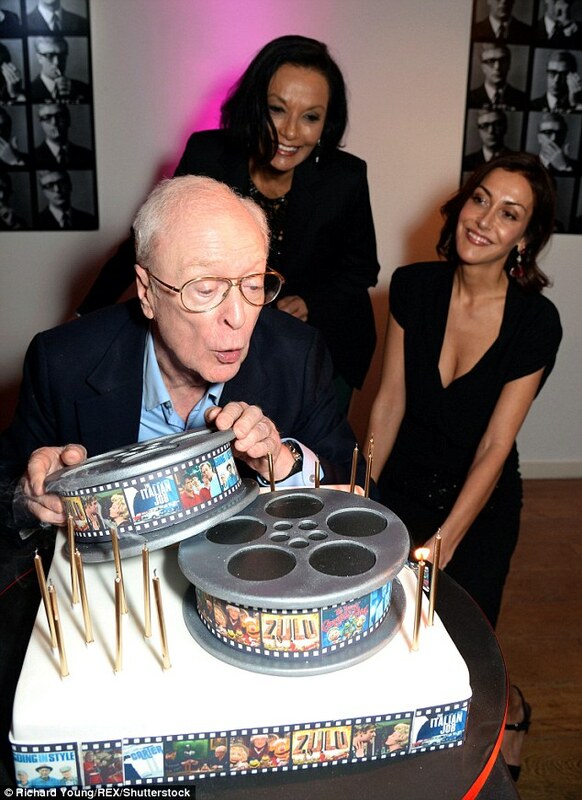 Today he marked his birthday at the British Film Institute on London's South Bank, just a short drive from Rotherhithe, where he was born. Dressed in a smart suit and blue shirt, he was accompanied by the former Beatle, 75, as well his Shakira and daughter Natasha. He was serenaded by guests and pictured blowing out candles on a cake decorated with reels from films he starred in over the years including Zulu. Same thing happened to my brother. DG, your cousin Shakira and their daughter look great.